celebrating indie artists: Cool Lego Projects at Evil Mad Scientist! Cool Lego Projects at Evil Mad Scientist! Go look at the awesome projects they just posted over at Evil Mad Scientist Laboratories! 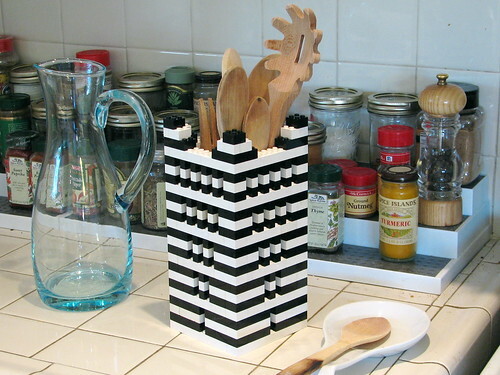 Lego kitchen stuff! So cool! I love the utensil holder, pictured here. Go to The LEGO Shop and grab some of your own to give these projects a try! You could do similar stuff for the office too, with pencil holders and such. Neat!